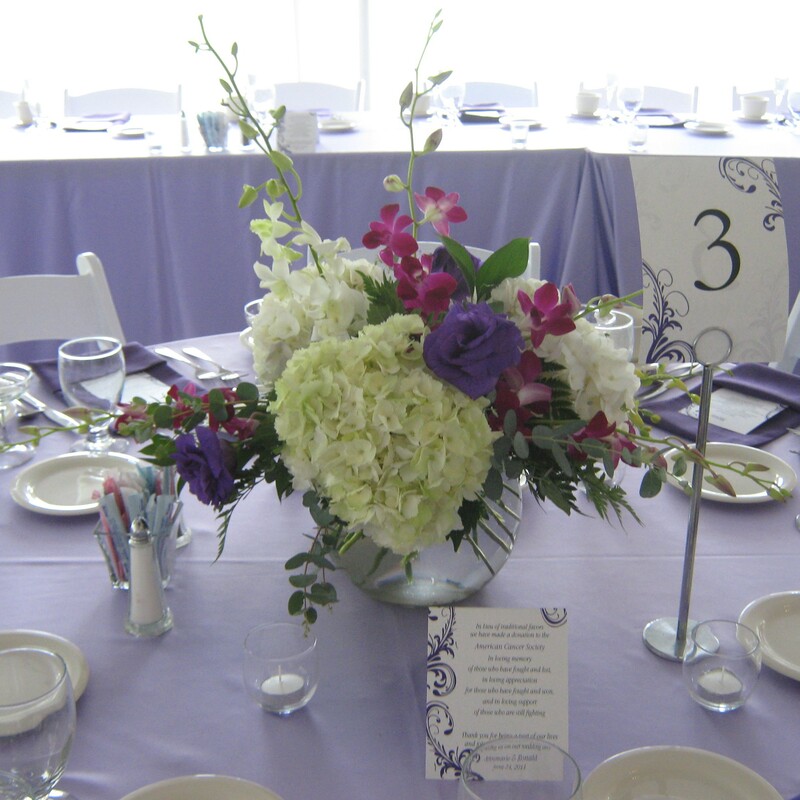 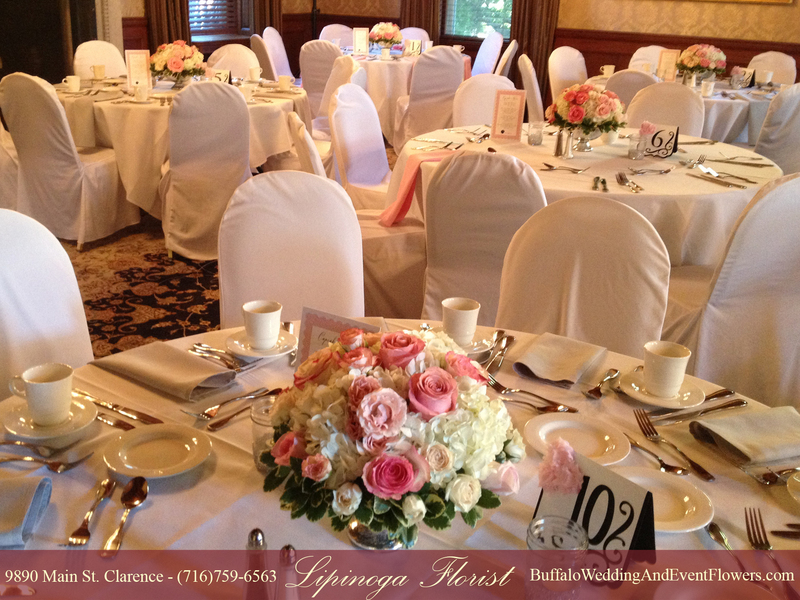 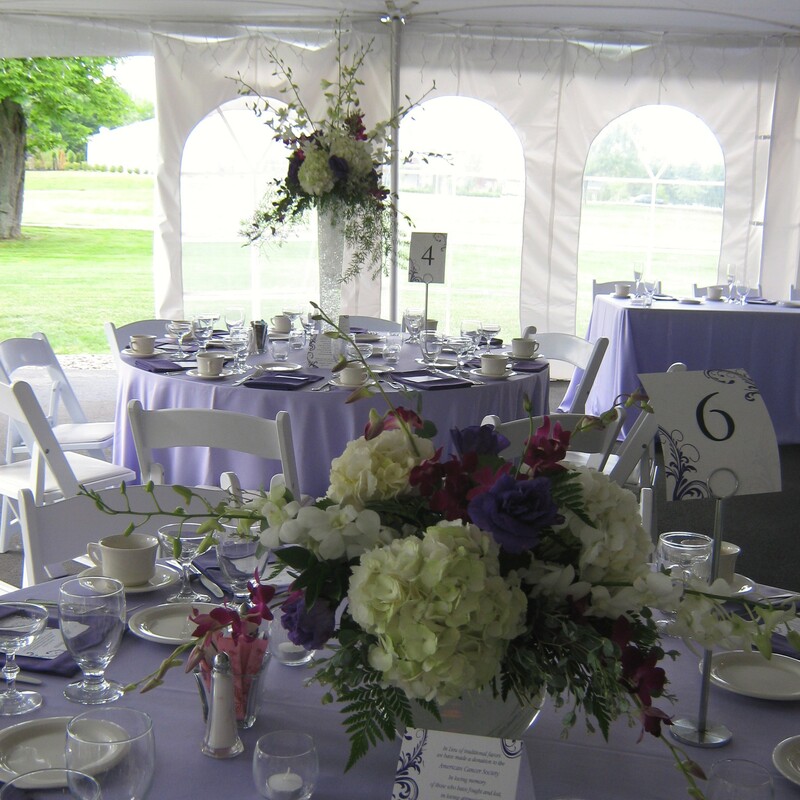 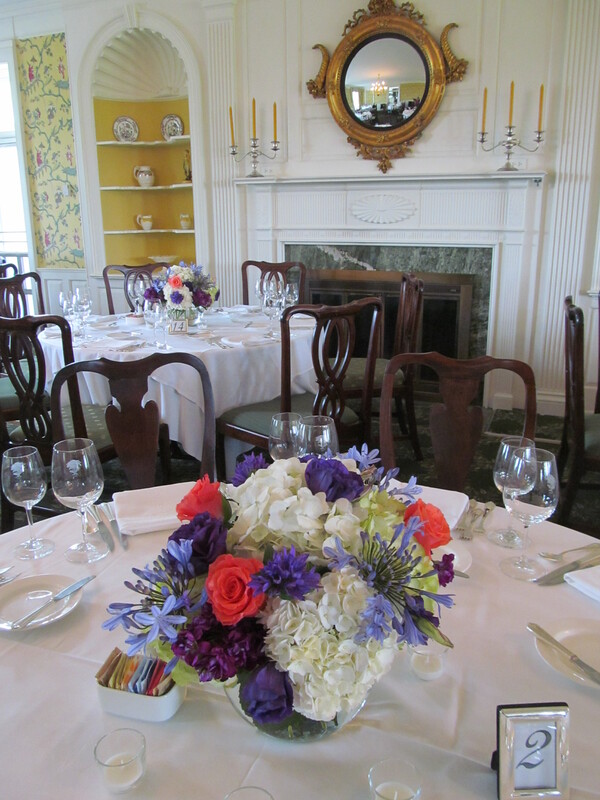 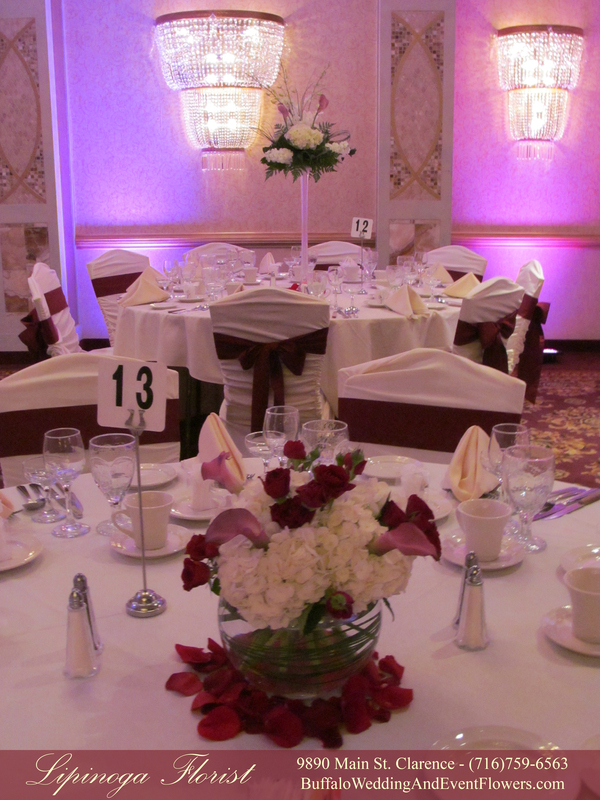 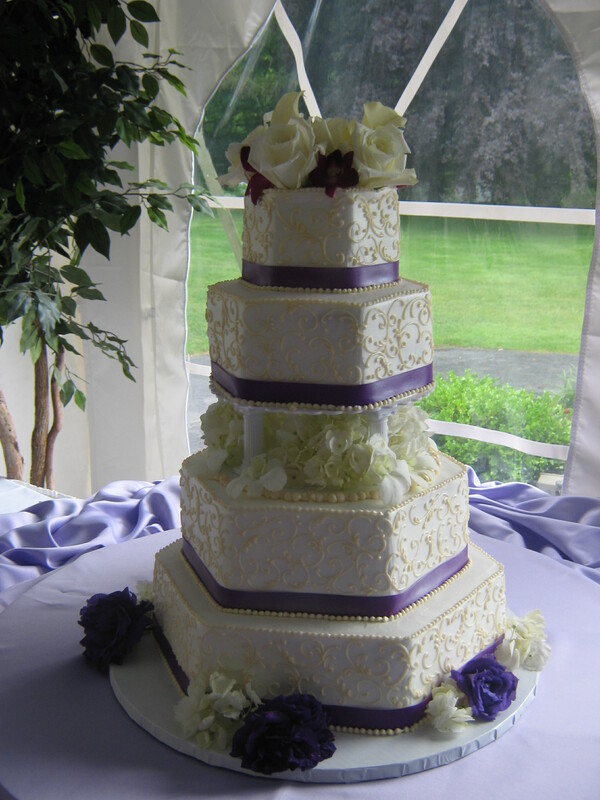 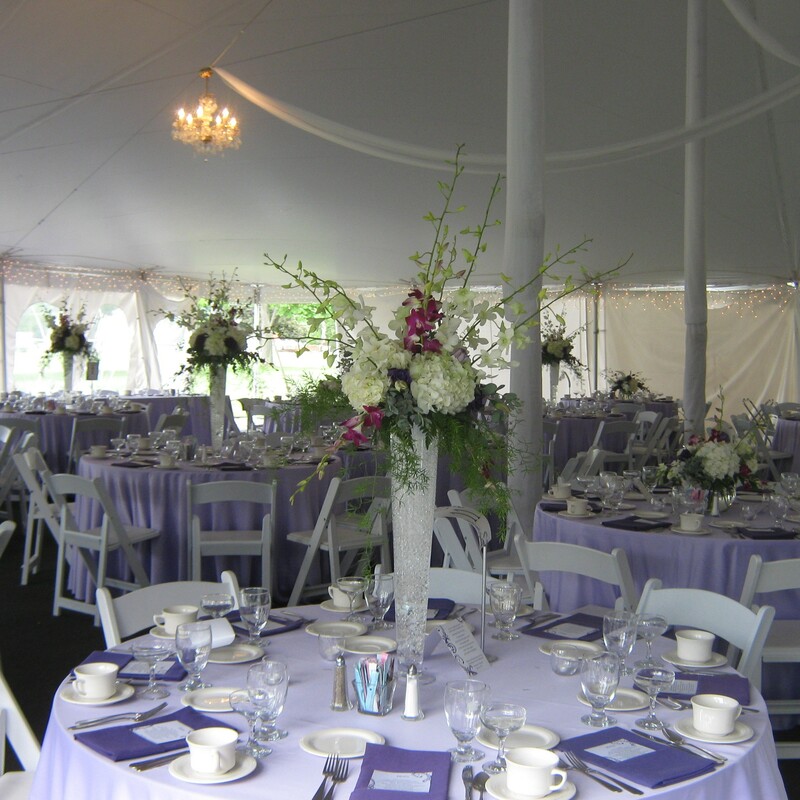 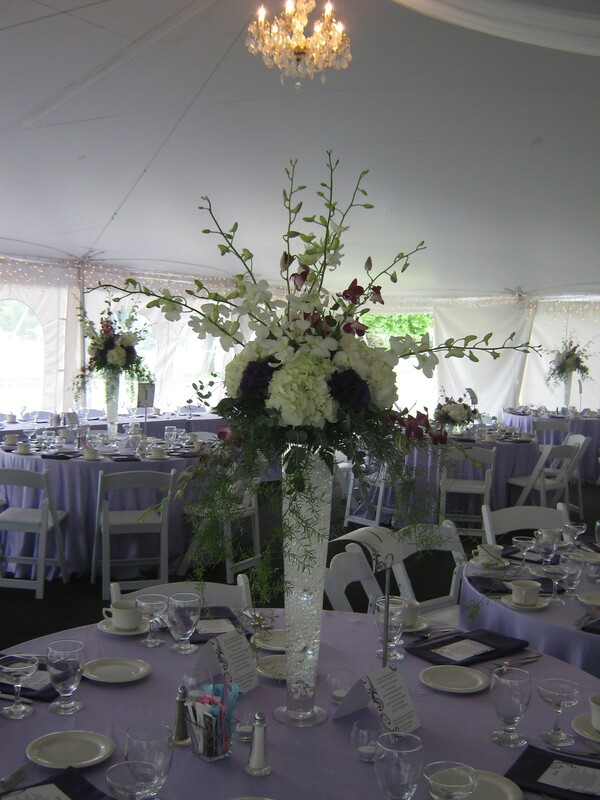 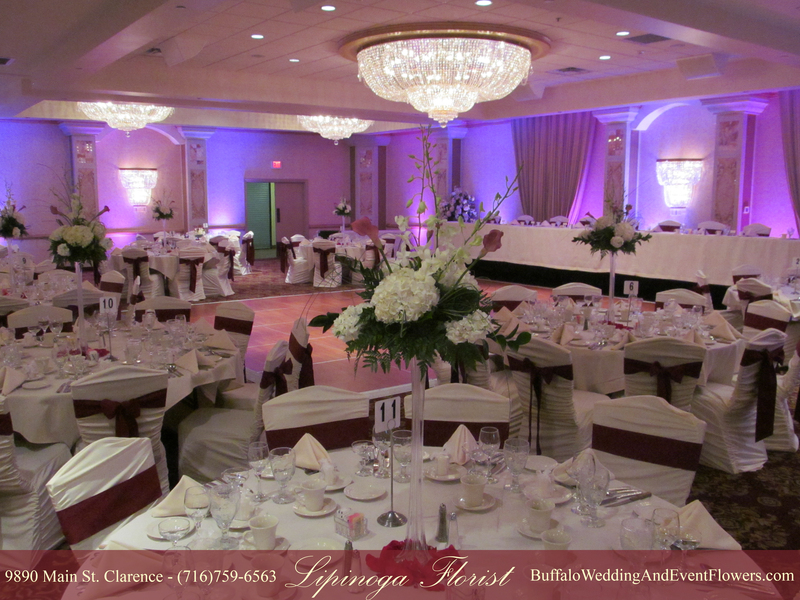 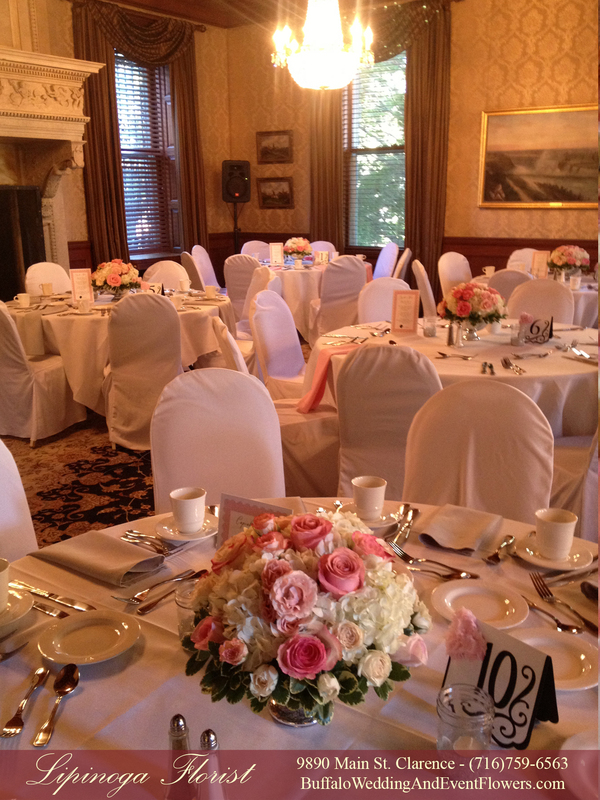 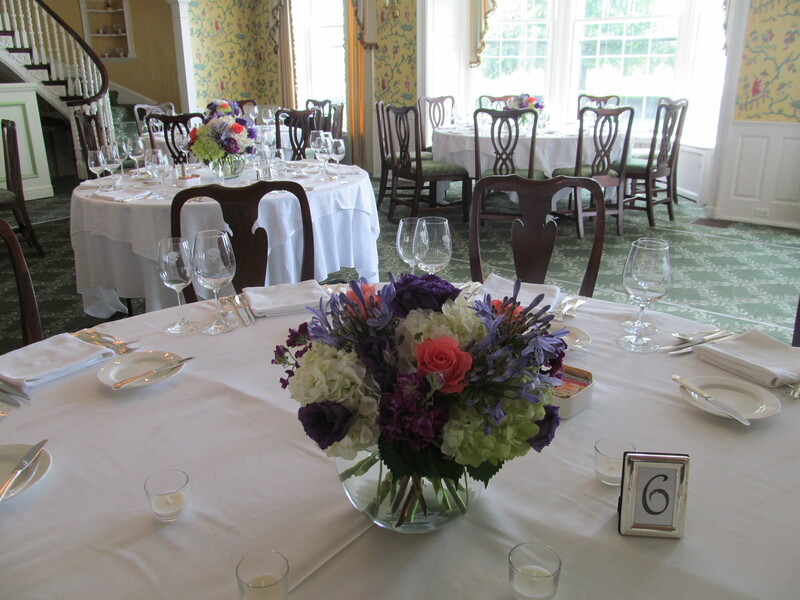 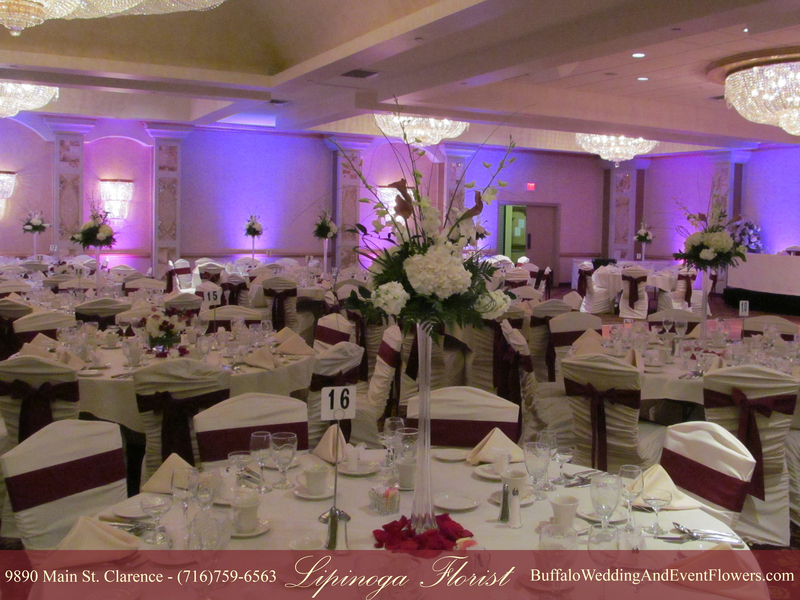 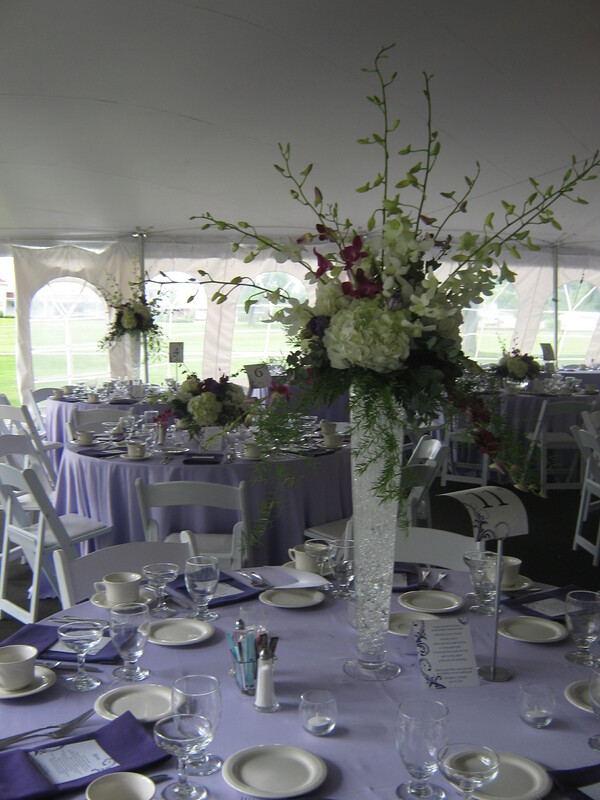 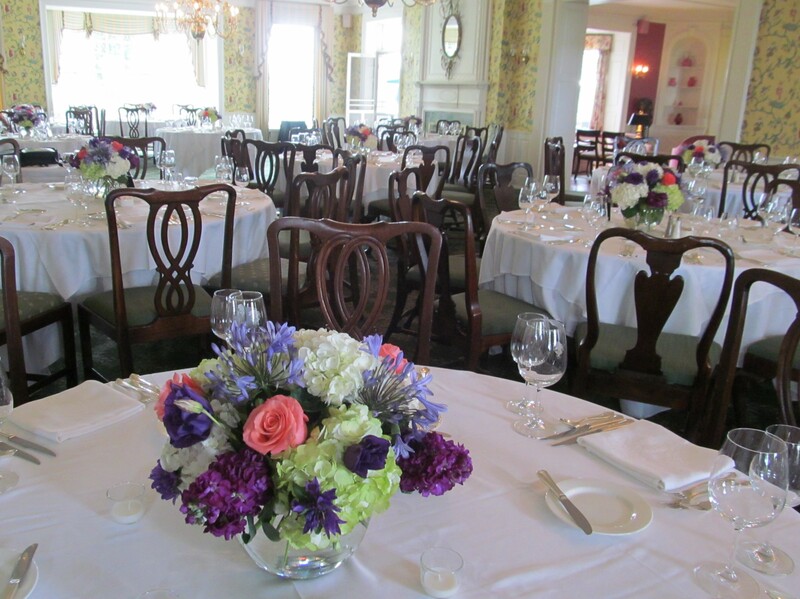 Beautiful hues of purple and periwinkle among white and hints of coral accent tables for a reception held at the Country Club of Buffalo. 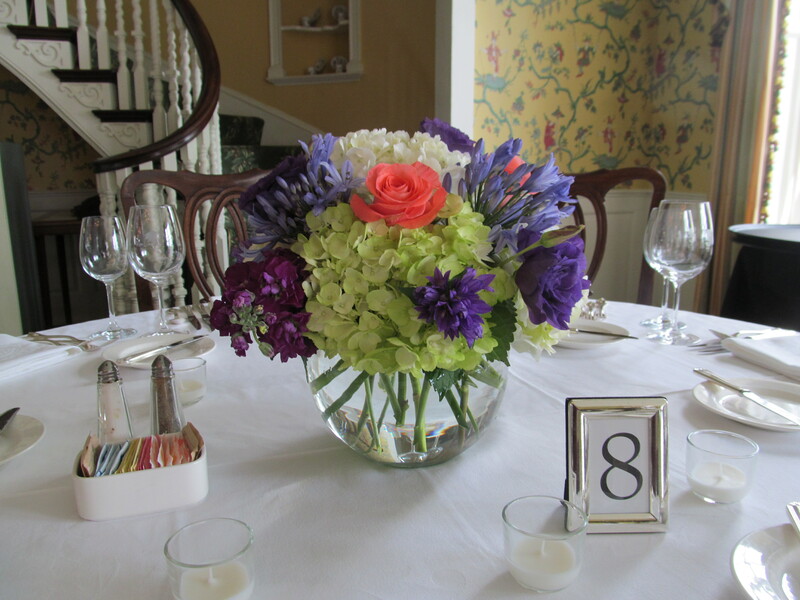 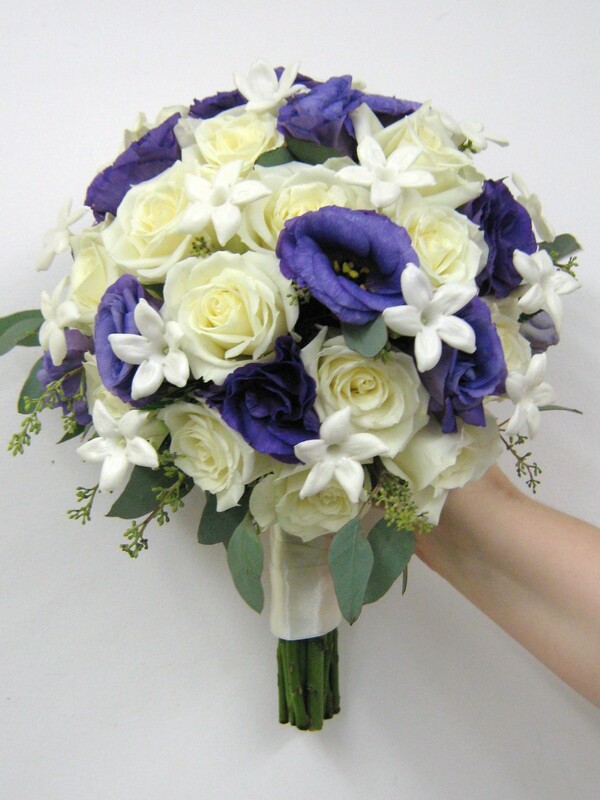 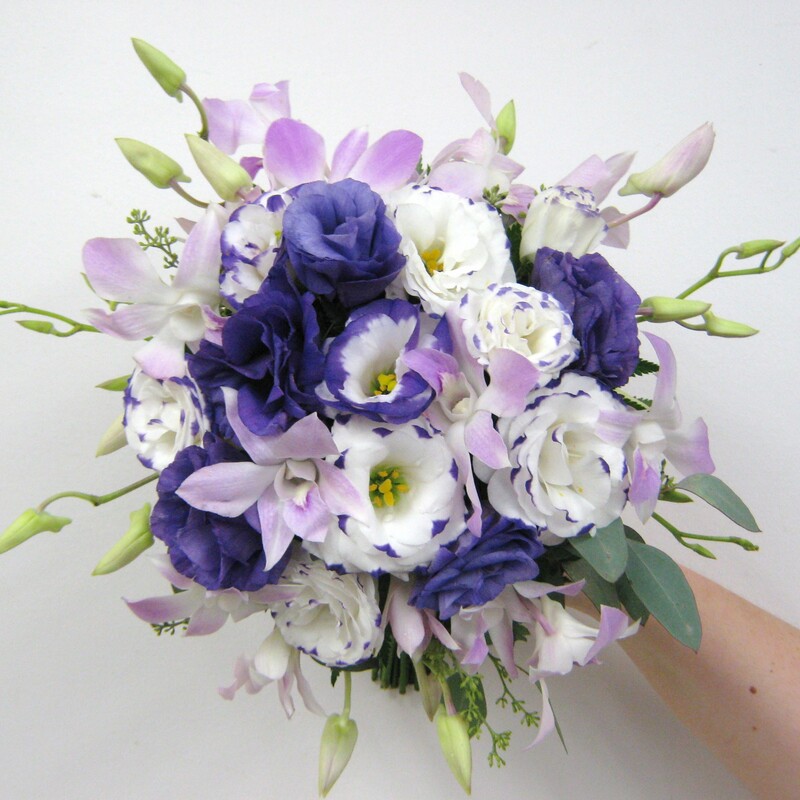 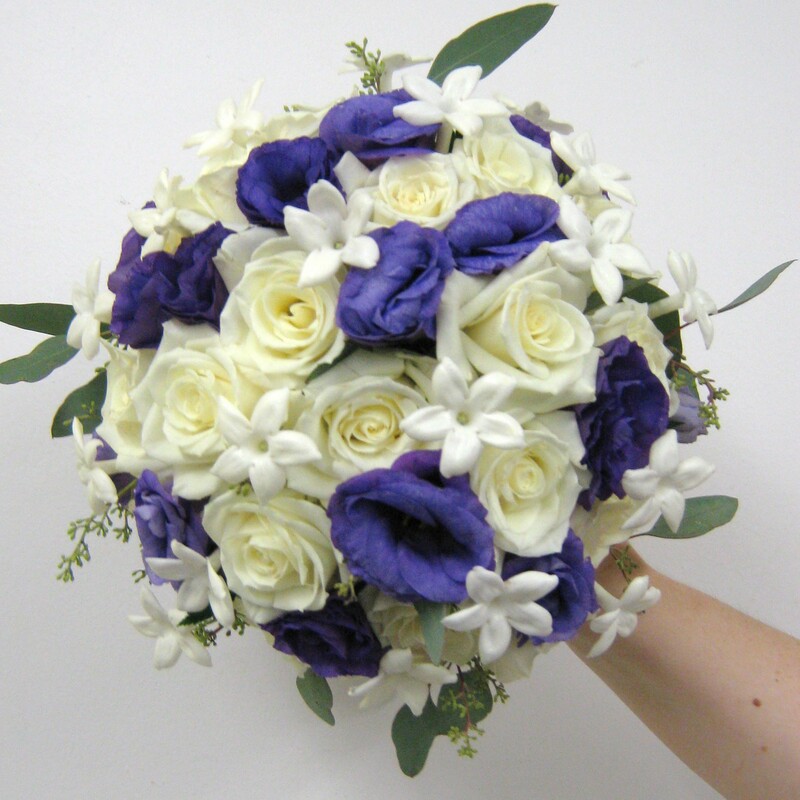 Glass bubble bowls are filled to the brim with a lush combination of hydrangea, roses, agapanthus, stock and lisianthus. 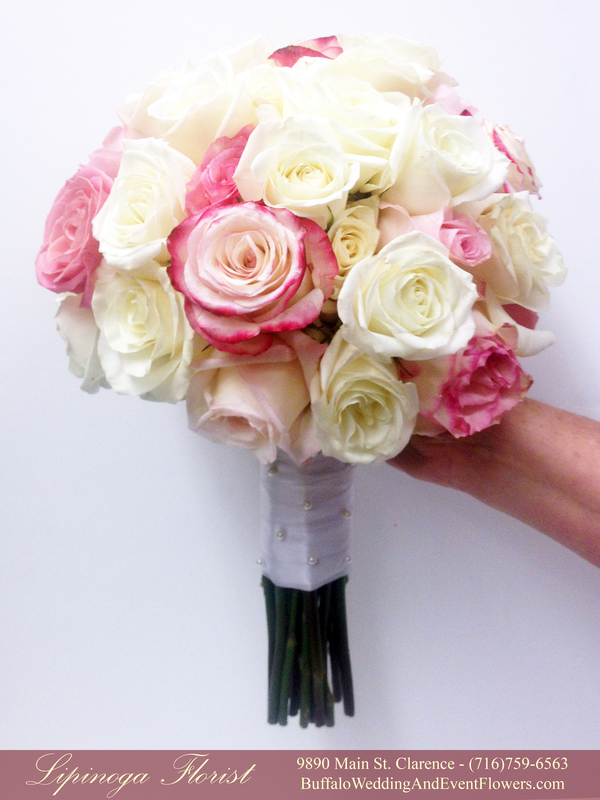 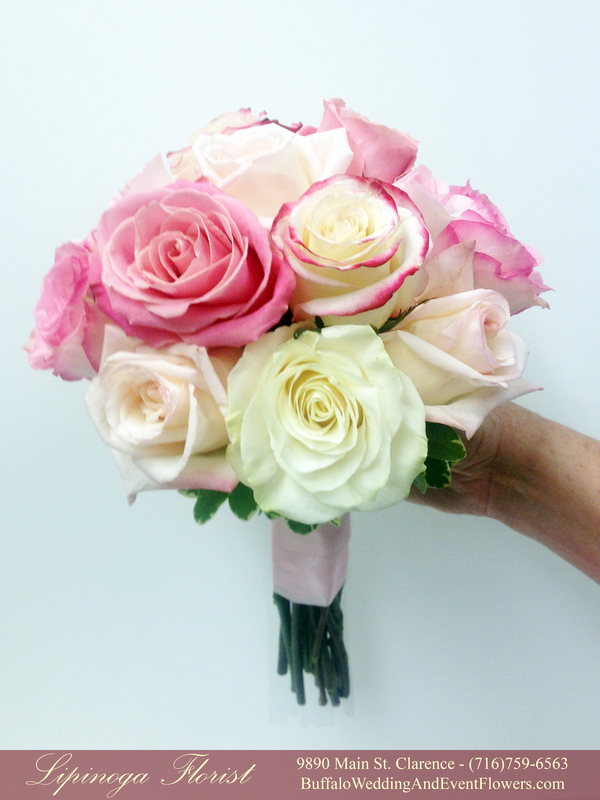 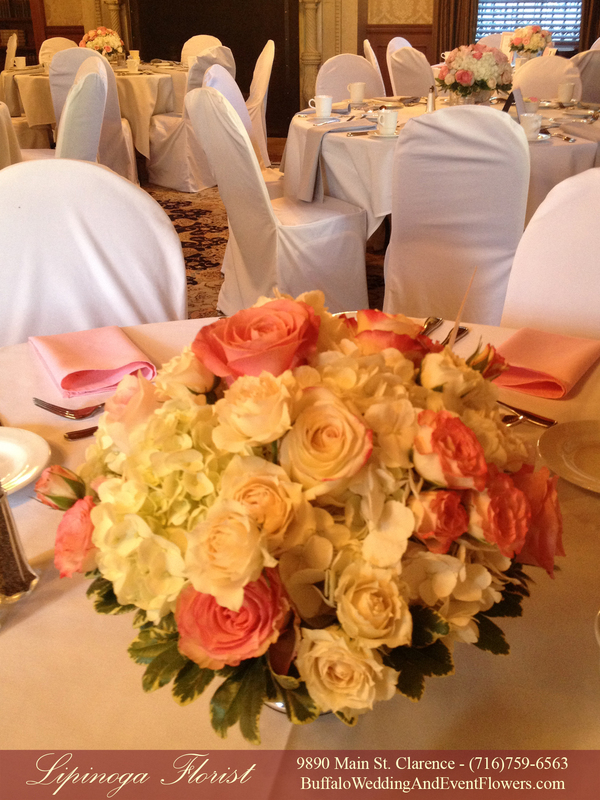 The coral roses stand out in this beautiful display of assorted summer flowers. 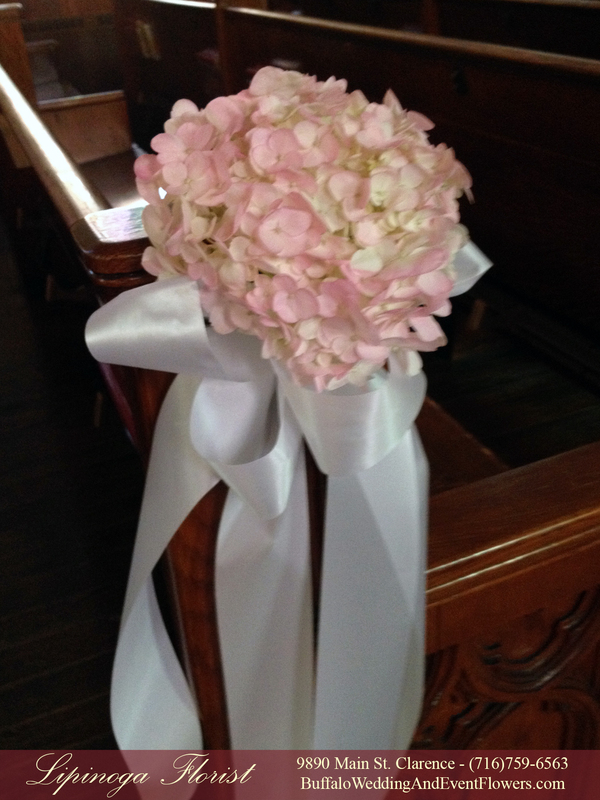 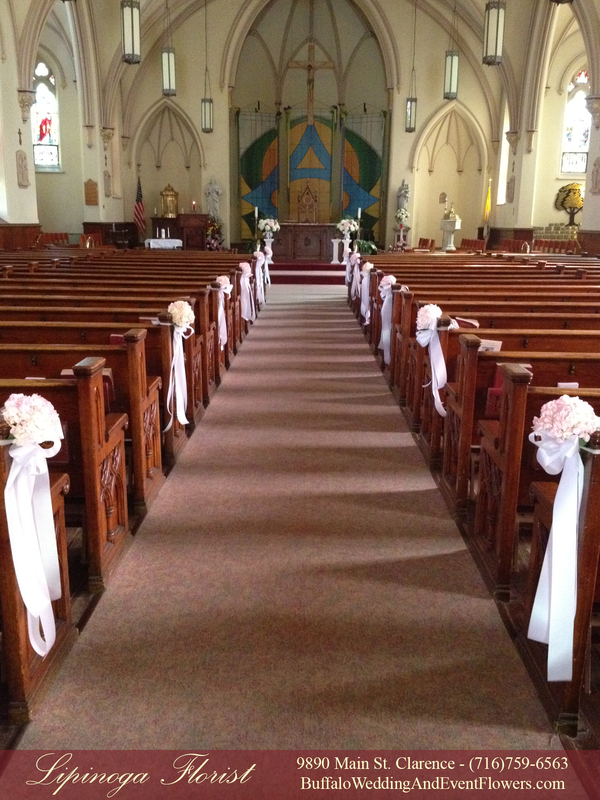 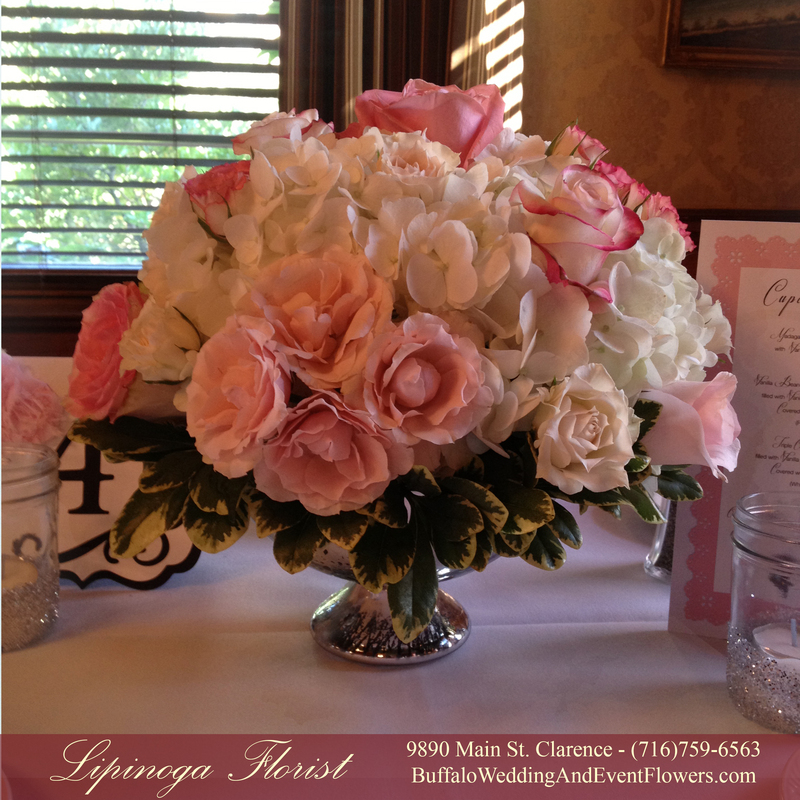 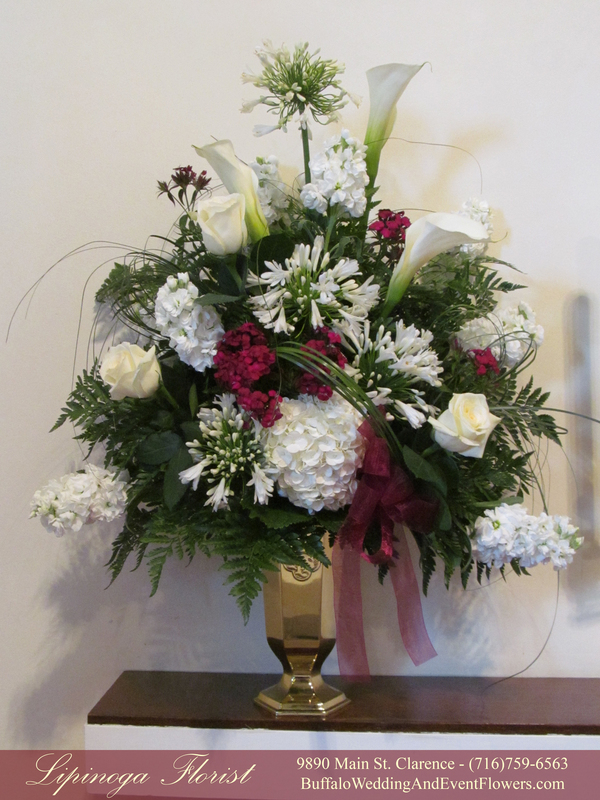 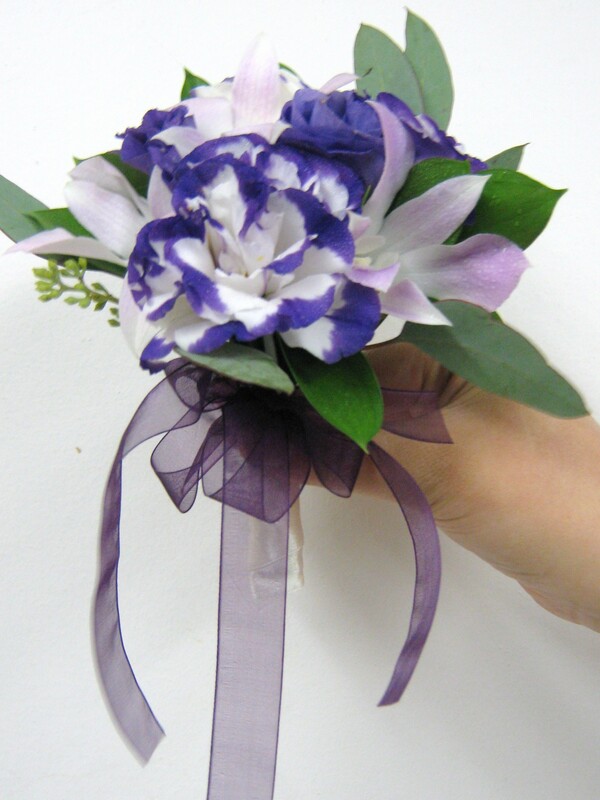 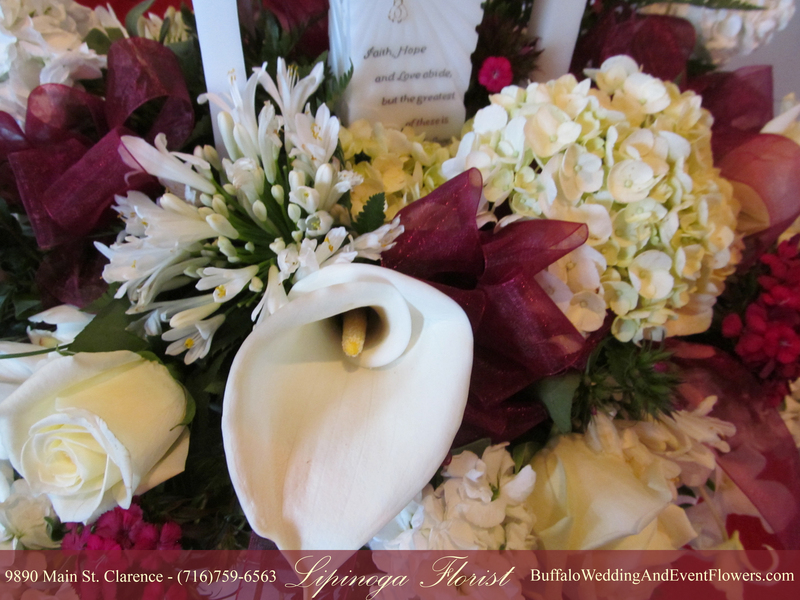 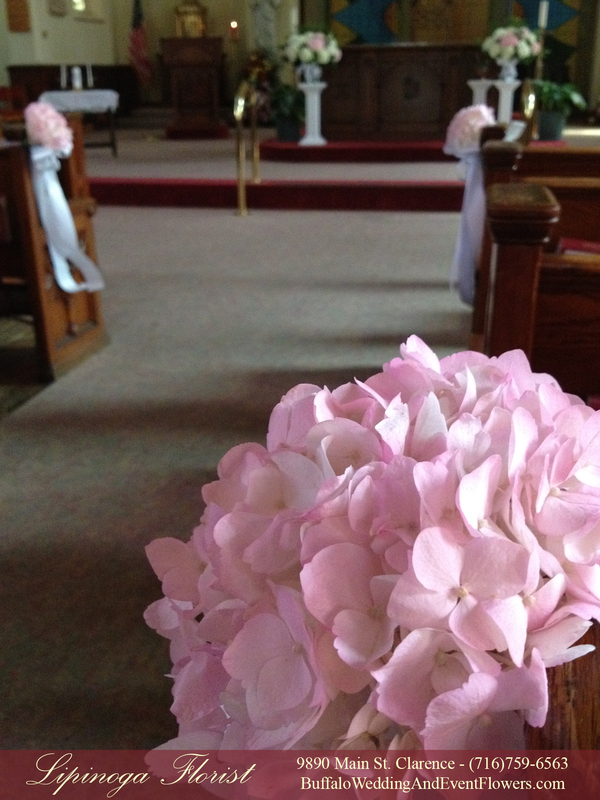 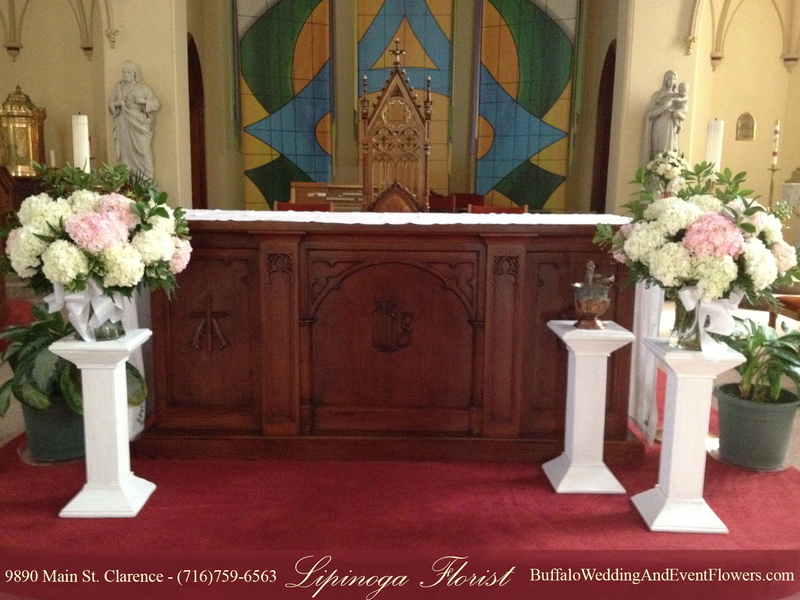 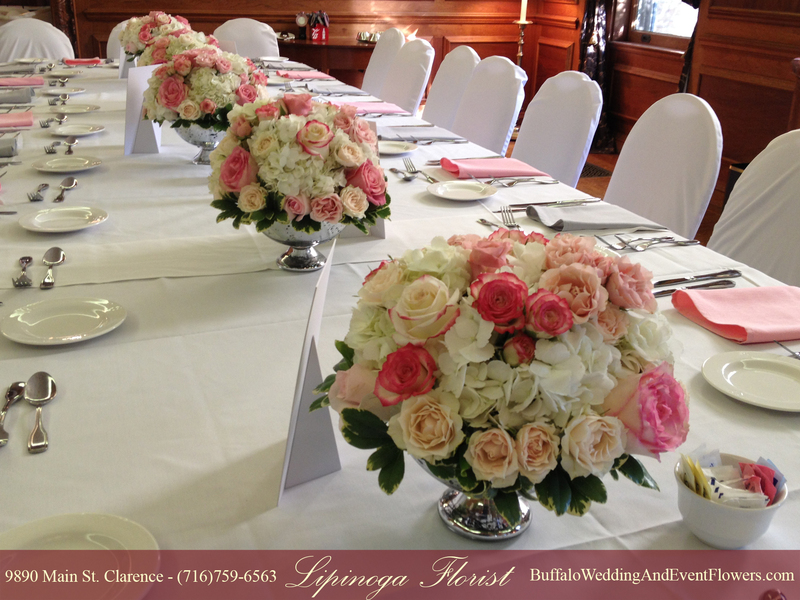 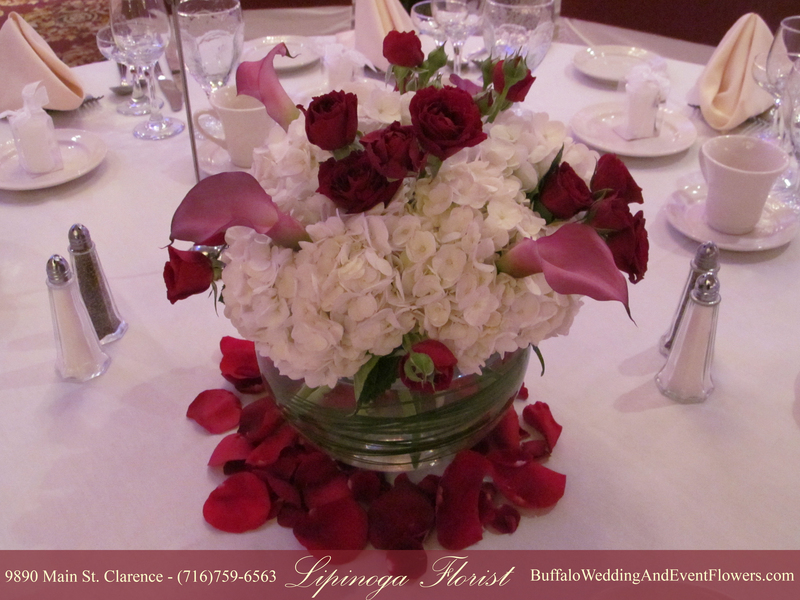 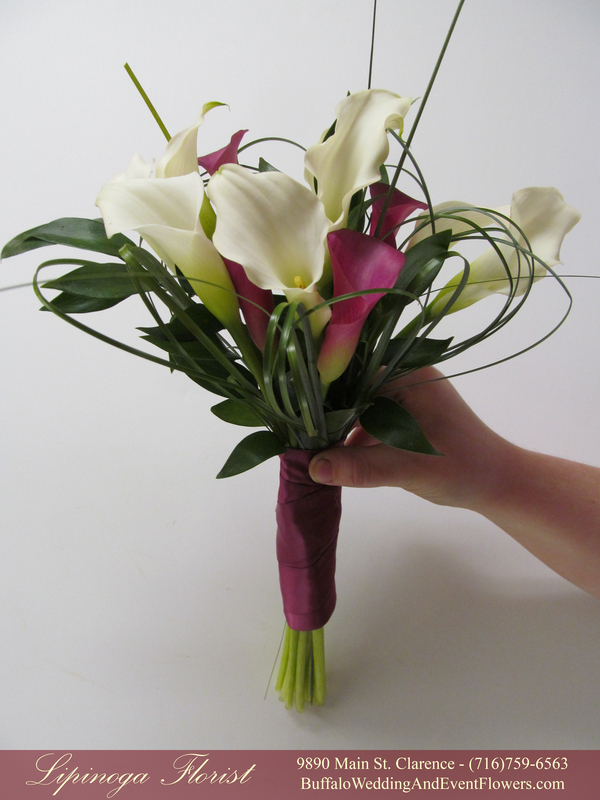 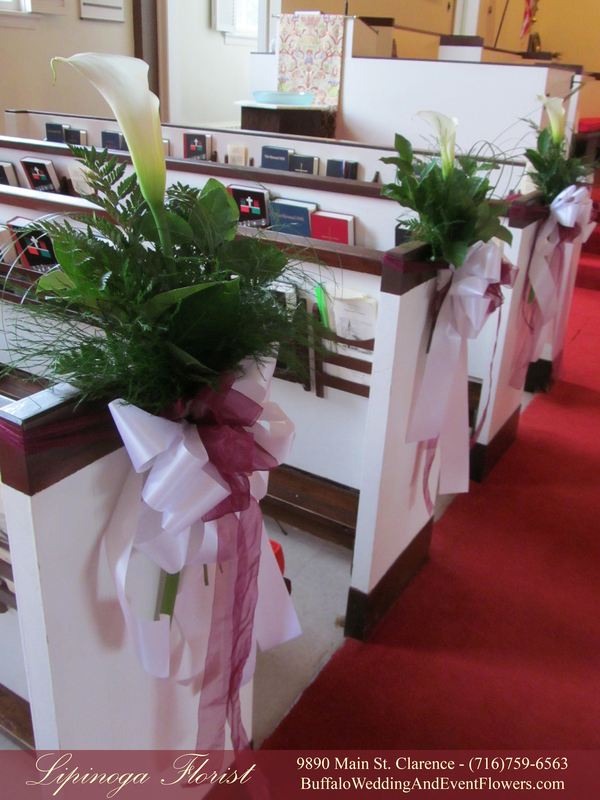 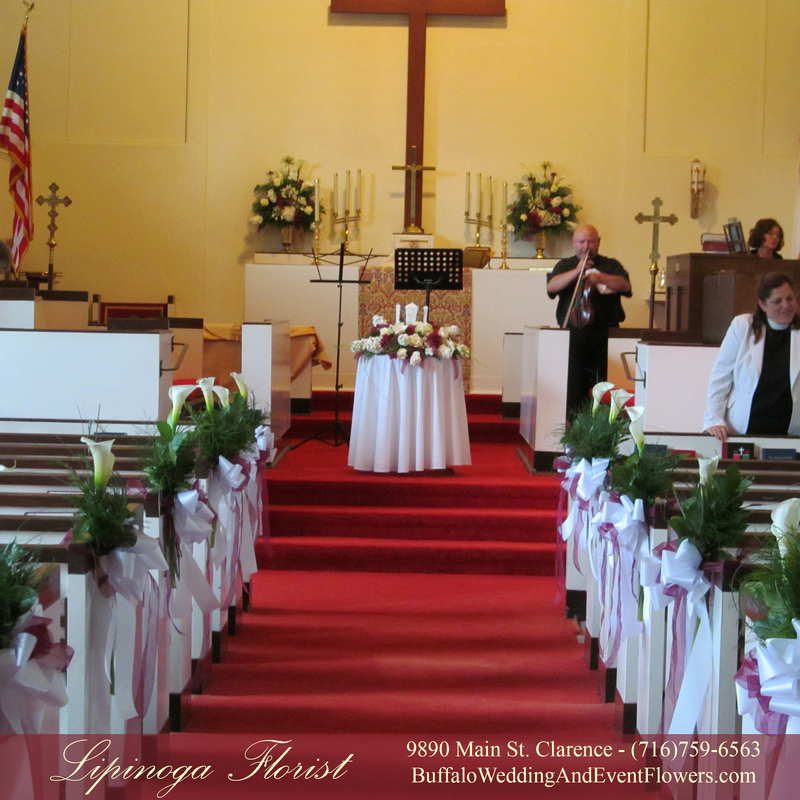 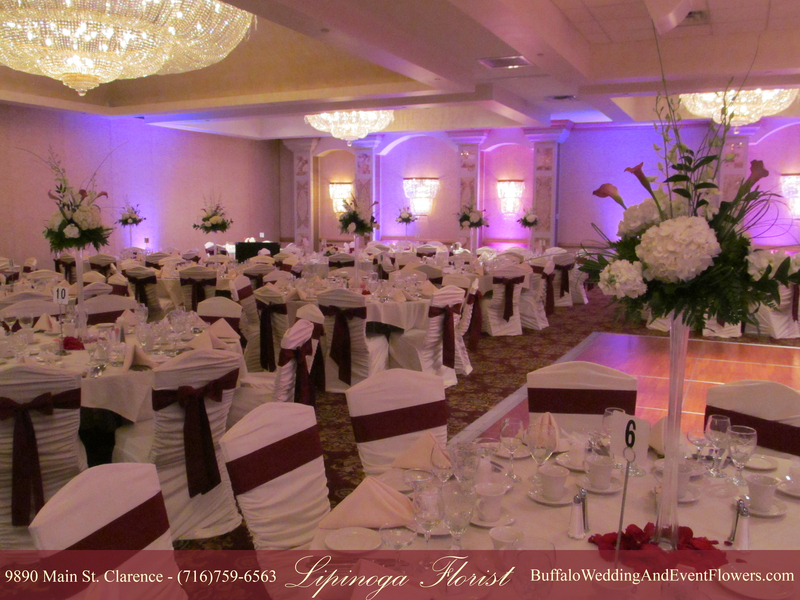 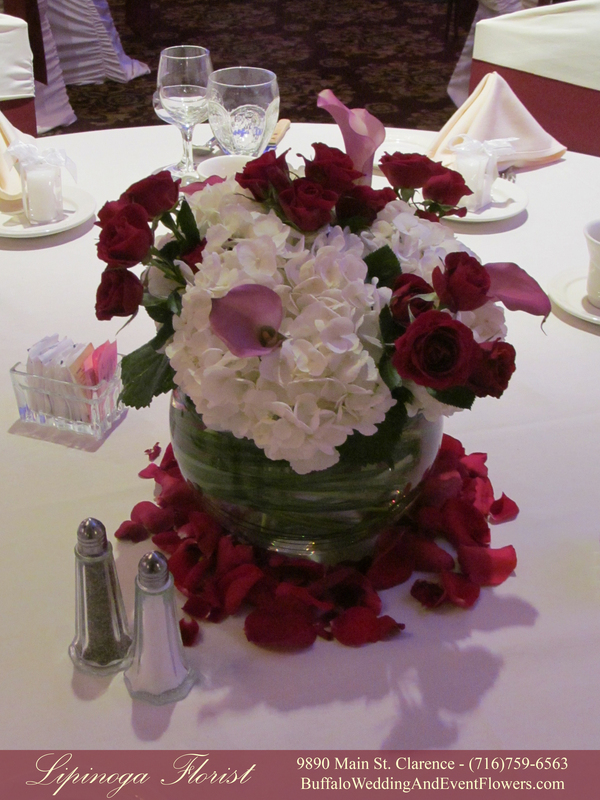 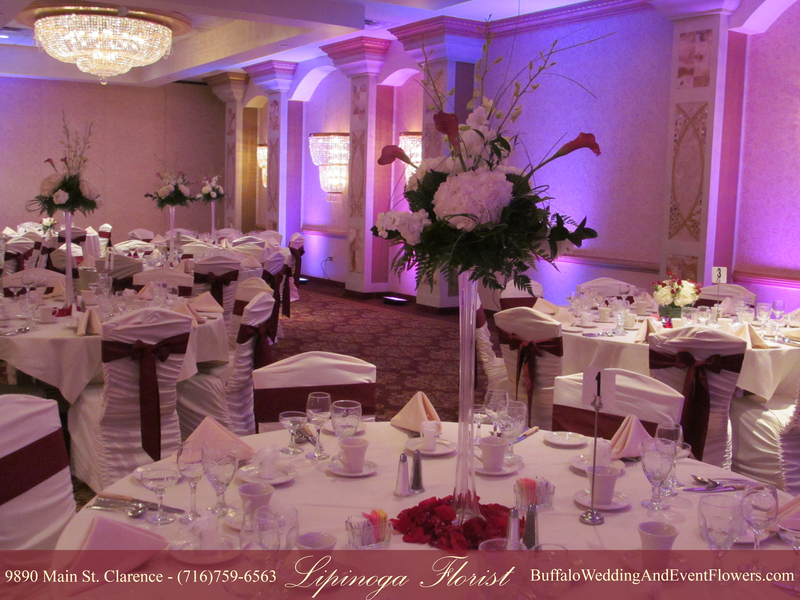 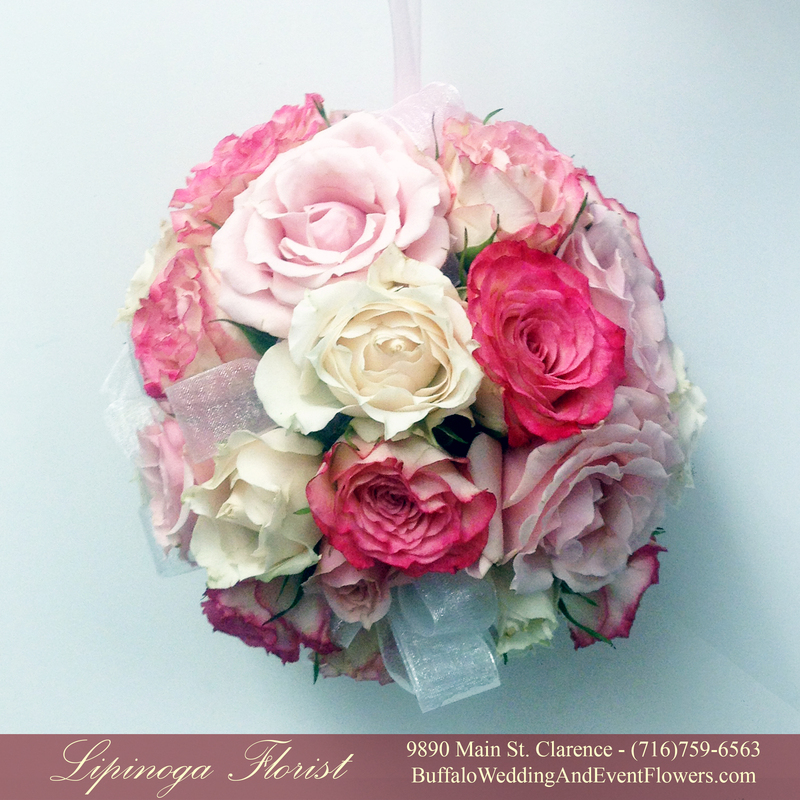 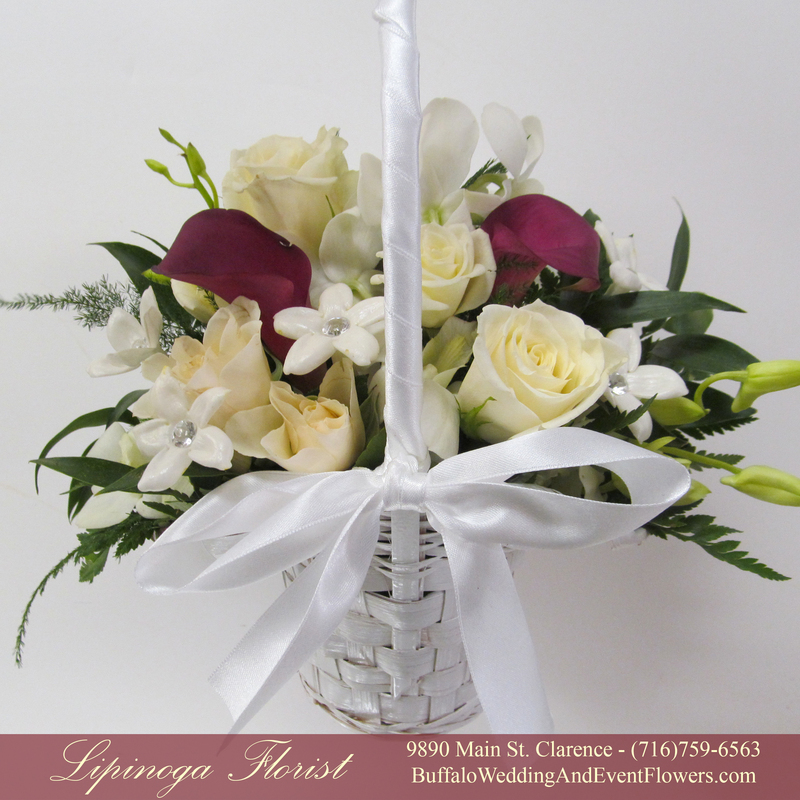 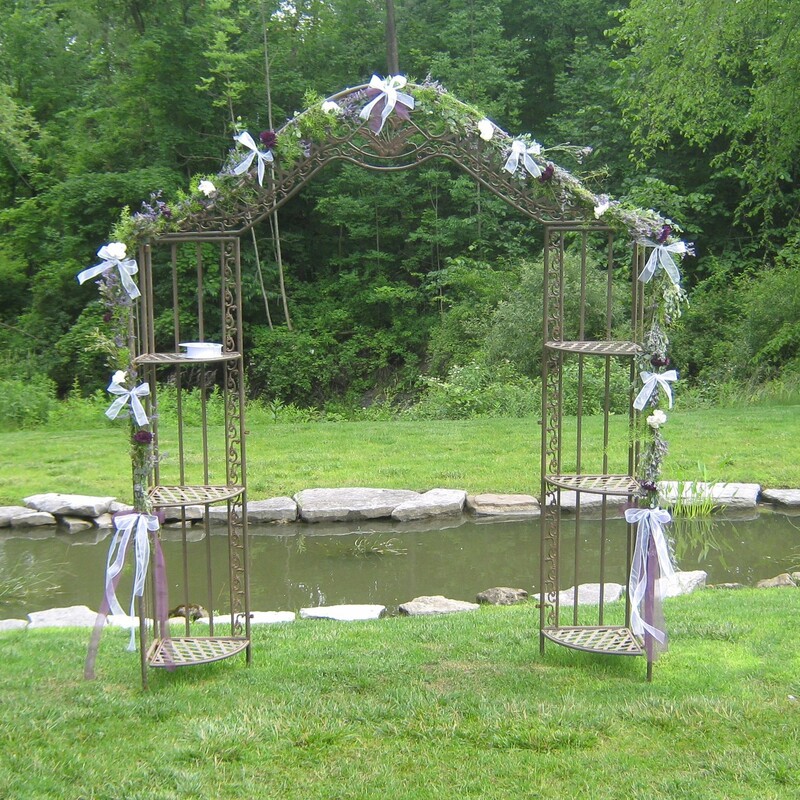 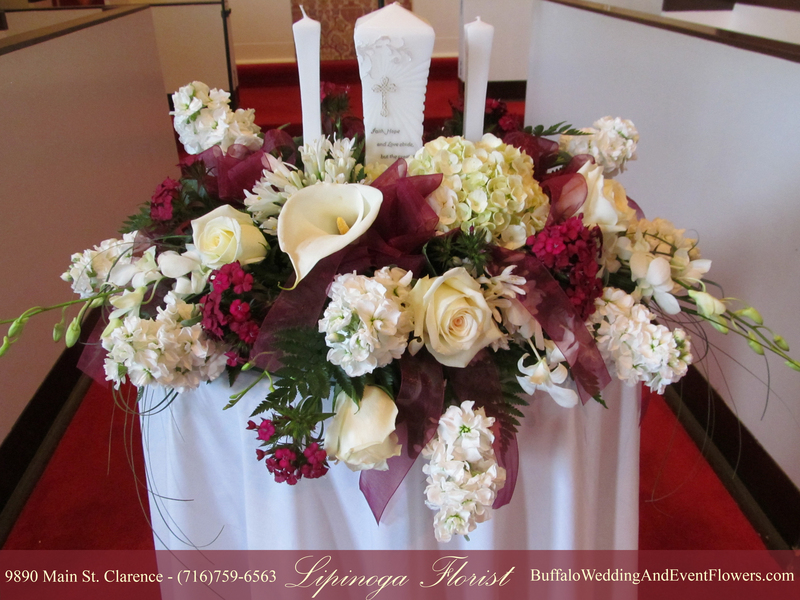 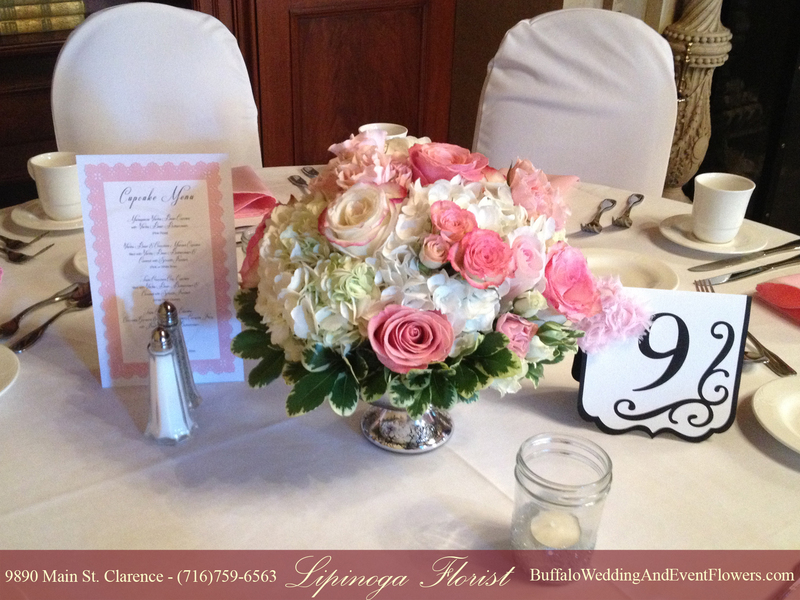 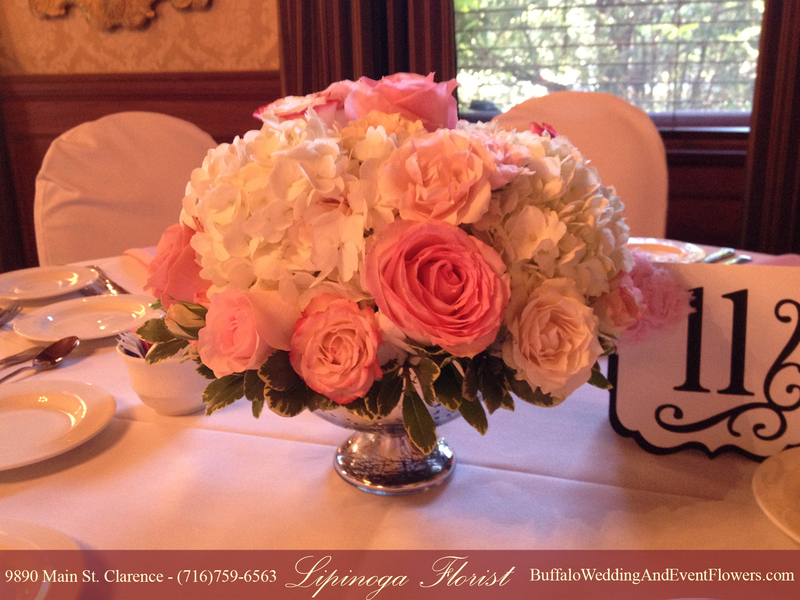 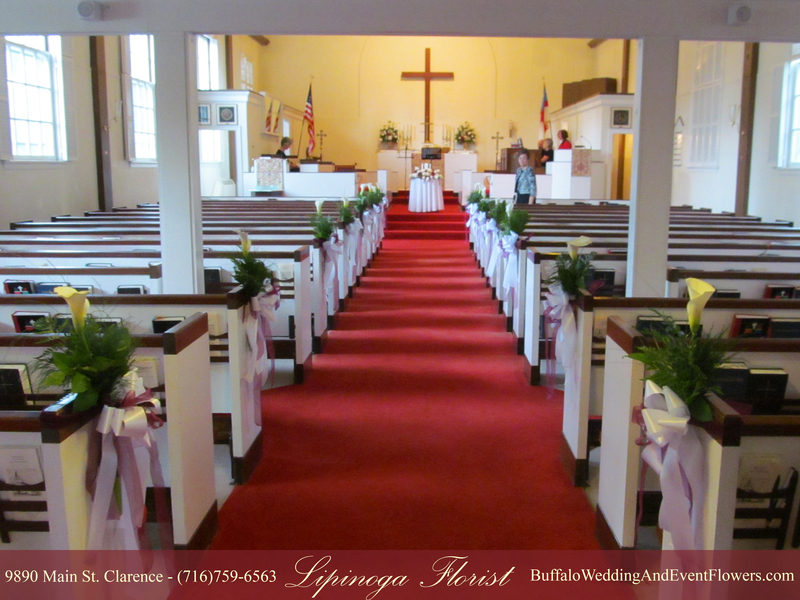 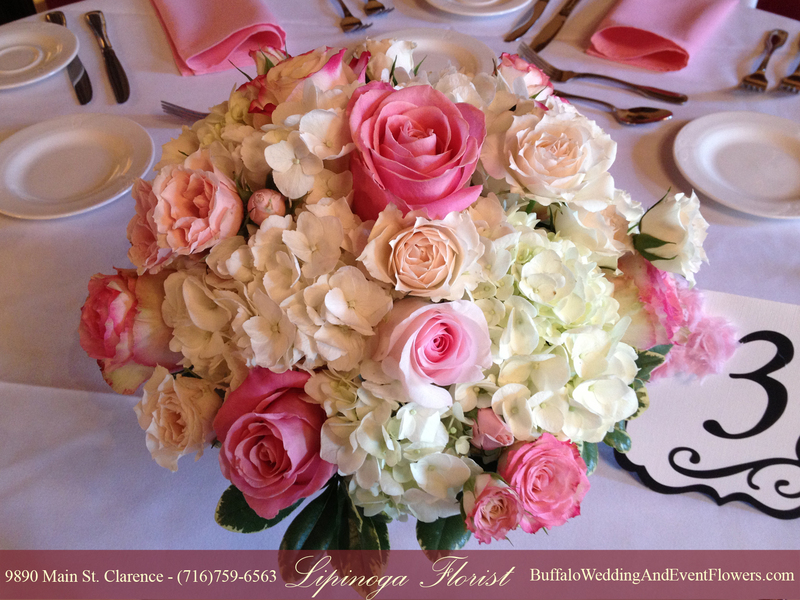 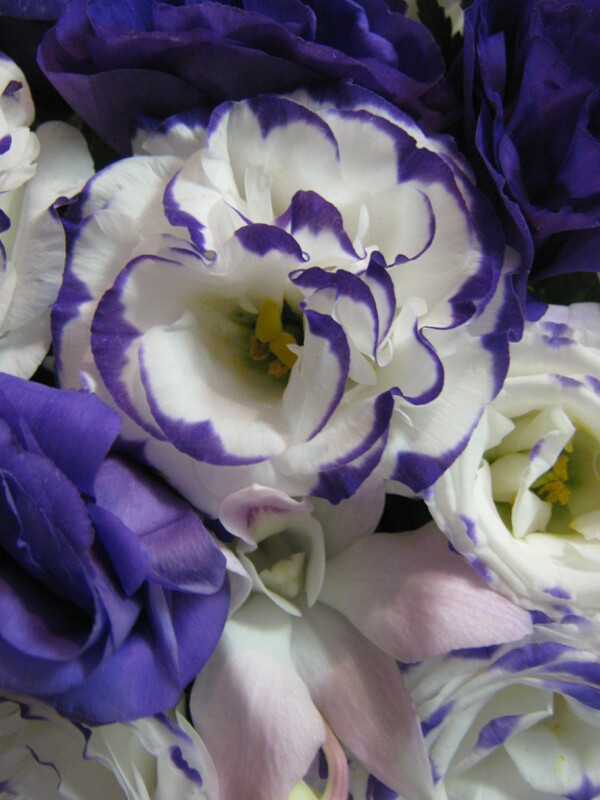 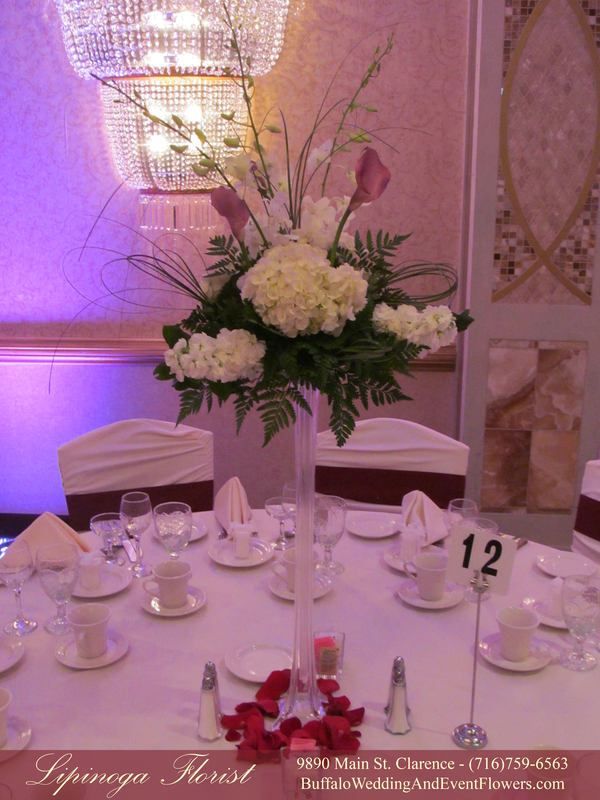 These centerpieces custom designed by Lipinoga Florist would be appropriate for any wedding or event and can be customized to fit your color scheme.